What has hundreds of nodes, thousands of cores, hundreds of terabytes of RAM, and hopes to serve the billions of smartphones that will soon be a reality around the globe? The Erlang/FreeBSD-based server infrastructure at WhatsApp. We've faced many challenges in meeting the ever-growing demand for our messaging services, but as we continue to push the envelope on size (>8000 cores) and speed (>70M Erlang messages per second) of our serving system. But since we don’t have that talk yet, let’s take a look at a talk Rick Reed gave two years ago on WhatsApp: Scaling to Millions of Simultaneous Connections. Having built a high performance messaging bus in C++ while at Yahoo, Rick Reed is not new to the world of high scalability architectures. The founders are also ex-Yahoo guys with not a little experience scaling systems. So WhatsApp comes by their scaling prowess honestly. And since they have a Big Hairy Audacious of Goal of being on every smartphone in the world, which could be as many as 5 billion phones in a few years, they’ll need to make the most of that experience. Before we get to the facts, let’s digress for a moment on this absolutely fascinating conundrum: How can WhatsApp possibly be worth $19 billion to Facebook? What is it that makes WhatsApp so valuable? The technology? Ignore all those people who say they could write WhatsApp in a week with PHP. That’s simply not true. It is as we’ll see pretty cool technology. But certainly Facebook has sufficient chops to build WhatsApp if they wished. Let’s look at features. We know WhatsApp is a no gimmicks (no ads, no gimmicks, no games) product with loyal users from across the world. It offers free texting in a cruel world where SMS charges can be abusive. As a sheltered American it has surprised me the most to see how many real people use WhatsApp to really stay in touch with family and friends. So when you get on WhatsApp it’s likely people you know are already on it, since everyone has a phone, which mitigates the empty social network problem. It is aggressively cross platform so everyone you know can use it and it will just work. It “just works” is a phrase often used. It is full featured (shared locations, video, audio, pictures, push-to-talk, voice-messages and photos, read receipt, group-chats, send messages via WiFi, and all can be done regardless of whether the recipient is online or not). It handles the display of native languages well. And using your cell number as identity and your contacts list as a social graph is diabolically simple. There’s no email verification, username and password, and no credit card number required. So it just works. All impressive, but that can’t be worth $19 billion. Other products can compete on features. Google wanted it is a possible reason. It’s a threat. It’s for the .99 cents a user. Facebook is just desperate. It’s for your phone book. It’s for the meta-data (even though WhatsApp keeps none). It’s for the 450 million active users, with a user based growing at one million users a day, with a potential for a billion users. Facebook needs WhatApp for its next billion users. Certainly that must be part if it. And a cost of about $40 a user doesn’t seem unreasonable, especially with the bulk paid out in stock. Facebook acquired Instagram for about $30 per user. A Twitter user is worth $110. Benedict Evans makes a great case that Mobile is a 1+ trillion dollar business, WhatsApp is disrupting the SMS part of this industry, which globally has over $100 billion in revenue, by sending 18 billion SMS messages a day when the global SMS system only sends 20 billion SMS messages a day. With a fundamental change in the transition from PCs to nearly universal smartphone adoption, the size of the opportunity is a much larger addressable market than where Facebook normally plays. But Facebook has promised no ads and no interference, so where’s the win? There’s the interesting development of business use over mobile. WhatsApp is used to create group conversations for project teams and venture capitalists carry out deal flow conversations over WhatsApp. Instagram is used in Kuwait to sell sheep. WeChat, a WhatsApp competitor, launched a taxi-cab hailing service in January. In the first month 21 million cabs were hailed. With the future of e-commerce looking like it will be funneled through mobile messaging apps, it must be an e-commerce play? It’s not just businesses using WhatsApp for applications that were once on the desktop or on the web. Police officers in Spain use WhatsApp to catch criminals. People in Italy use it to organize basketball games. Commerce and other applications are jumping on to mobile for obvious reasons. Everyone has mobile and these messaging applications are powerful, free, and cheap to use. No longer do you need a desktop or a web application to get things done. A lot of functionality can be overlayed on a messaging app. So messaging is a threat to Google and Facebook. The desktop is dead. The web is dying. Messaging + mobile is an entire ecosystem that sidesteps their channel. Messaging has become the center of engagement on mobile, not search, changing how things are found and the very nature of what applications will win the future. We are not just pre-pagerank, we are pre-web. Facebook needs to get into this market or become irrelevant? With the move to mobile we are seeing deportalization of Facebook. The desktop web interface for Facebook is a portal style interface providing access to all the features made available by the backend. It’s big, complicated, and creaky. Who really loves the Facebook UI? When Facebook moved to mobile they tried the portal approach and it didn’t work. So they are going with a strategy of smaller, more focussed, purpose built apps. Mobile first! There’s only so much you can do on a small screen. On mobile it’s easier to go find a special app than it is to find a menu buried deep within a complicated portal style application. But Facebook is going one step further. They are not only creating purpose built apps, they are providing multiple competing apps that provide similar functionality and these apps may not even share a backend infrastructure. We see this with Messenger and WhatsApp, Instagram and Facebook’s photo app. Paper is an alternate interface to Facebook that provides very limited functionality, but it does what it does very well. Conway's law may be operating here. The idea that “organizations which design systems ... are constrained to produce designs which are copies of the communication structures of these organizations.” With a monolithic backend infrastructure we get a Borg-like portal design. The move to mobile frees the organization from this way of thinking. If apps can be built that provide a view of just a slice of the Facebook infrastructure then apps can be built that don’t use Facebook’s infrastructure at all. And if they don't need Facebook's infrastructure then they are free not to be built by Facebook at all. So exactly what is Facebook then? The idea is to develop a group of basic internet services that would be free of charge to use — “a 911 for the internet." These could be a social networking service like Facebook, a messaging service, maybe search and other things like weather. Providing a bundle of these free of charge to users will work like a gateway drug of sorts — users who may be able to afford data services and phones these days just don’t see the point of why they would pay for those data services. This would give them some context for why they are important, and that will lead them to paying for more services like this — or so the hope goes. This is the long play, which is a game that having a huge reservoir of valuable stock allows you to play. Have we reached a conclusion? I don’t think so. It’s such a stunning dollar amount with such tenuous apparent immediate rewards, that the long term play explanation actually does make some sense. We are still in the very early days of mobile. Nobody knows what the future will look like, so it pays not try to force the future to look like your past. Facebook seems to be doing just that. yowsup was an Open Source version of WhatsApp's API. The repository is now unavailable due to a DMCA takedown, but they did document some of WhatsApp internal workings. Diversity in all things. How does the registration process work internally in Whatsapp? WhatsApp used to create a username/password based on the phone IMEI number. This was changed recently. WhatsApp now uses a general request from the app to send a unique 5 digit PIN. WhatsApp will then send a SMS to the indicated phone number (this means the WhatsApp client no longer needs to run on the same phone). Based on the pin number the app then request a unique key from WhatsApp. This key is used as "password" for all future calls. (this "permanent" key is stored on the device). This also means that registering a new device will invalidate the key on the old device. IPFW. Forward traffic from one server to another so could give a host exactly the number of desired client connections. A bug caused a kernel panic so that didn't work very well. Erlang + BEAM + their fixes - has awesome SMP scalability. Nearly linear scalability. Remarkable. On a 24-way box can run the system with 85% CPU utilization and it’s keeping up running a production load. It can run like this all day. Inspiration comes from the strangest places. Experience with forgetting the username and passwords on Skype accounts drove the passion for making the app "just work." WhatsApp's blog: The telling diary of a 16 billion dollar startup - nice timeline of events from Andre Bourque. 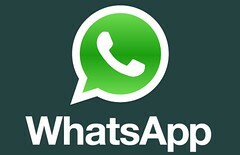 Quora: How does WhatsApp Work?, How does WhatsApp work out of mobile, network?, How did WhatsApp grow so big? Singapore is progressively doing business over WhatsApp. Are You? Can Someone Explain WhatsApp's Valuation To Me? Google’s Unusual Offer to WhatsApp. Ivan, how did you get to that conclusion? From the part where it said this? Thank you! This is one of the best written, most interesting, most encouraging and challenging posts I've read this year (2014). I love seeing what other people have done that is both mundane (or has made the complex mundane) and amazing. My team will keep using Java, but seeing another team succeed so well not only financially but meeting the needs of hundreds of millions of users is inspiring. Awesome! Thank you! 8 million funding is incorrect. They raised about 60 million. You say: "Though personally all the tuning and patching that was required casts some doubt on this claim." This doubt seems based on an assumption that Erlang/OTP is standing still, when in fact some of WhatsApp's Erlang/OTP patches were already incorporated into Erlang/OTP some time ago. Erlang/OTP is open source, community patches are common, and the OTP team at Ericsson continues, with community help, to push the platform forward in terms of features, performance and scalability. I believe WhatsApp originally developed their patches on version R14B of Erlang/OTP, but next month (March 2014) the OTP team will release version 17.0, once again hitting their normal schedule of producing a new major version of Erlang/OTP every year. By far the best article I read in months. First off, great article. I'm very impressed with the engineering at whatsapp and their attention to detail. It's cool to have an inside look. I'm confused, though, about the test involving "2 million TCP connections". I'm unclear on what exactly this means. It's my understanding that an inactive TCP connection should theoretically only require RAM and have very little impact on CPU or bandwidth. If that's the case, it's hard for me to suss out what this benchmark is hitting. Wouldn't RAM be the limiting factor in most cases? I'm not clear on how Erlang specifically helped here or what the actual meaning of a 2 million connection test is if the CPU and bandwidth ought to be more or less idle. In the presentation it sounded like CPU was at 85% but I'm not clear on what the CPU was actually doing. Can anyone enlighten me? Speaking about privacy, "Messages are not stored on servers"
At least, video and img messages are sent to the server then compressed then forwarded to your contact. If whatsapp delete them after that, I believe is up to the NSA. Great article! Thanks for sharing this. Excellent article...!! Thanks for sharing. Absolutely amazing article! I love it, every single line, every single word!!! Great great great post. I was working on a similar project on 2009 and I know all this tech talk, excellent details in the post. I really appreciate the commercial point of view as the tech part, and the lessons... great conclusion. Was worth the time reading it. Thanks. As someone not working at the sharp end of this kind of engineering, this was a fascinating read. Can anyone answer what might be a stupid question? I appreciate that getting such efficiency out of a single server necessarily takes a lot of work and is a great achievement but why does a messaging app like this present a big scalability challenge in principle? Why is minimum number of servers important? Looking on my phone into my own little WhatsApp bubble, I'm in regular contact with only about 20 people and rarely have full conversation with more than 4 an hour. So, if I had to visually represent the whole network I would guess there was a great deal of natural partitioning rather than something massively and unpredictably interconnected like bittorrent. Not that it would be a small programming task, but in principle couldn't a generic framework assign connections to servers by following and then predicting the natural partitioning of users. E.g. me and my London buddies are nicely incestuous and have zero sudden heavy traffic with Sao Paolo. So once connections are optimally assigned, wouldn't the remaining minimal traffic between servers be a non issue - particularly seeing as when you notice I'm suddenly trying to livechat with Sao Paolo, you switch us to the same server for a one-off. Messages are delete when the client receives it, that sounds perfect but what in the case if a group message ? Does it hold till all the members of the group receive it ? Nice article. Makes you appreciate the complexity of system and appreciate like Whatsapp we take granted as day to day user. Hey, it's a cool article. I have one question that I haven't quite gotten it. So, each socket connection that's been made by a client ends up in a separate process? If so, how a server can create a million one :/ and how can a message queue in a process can possibly reach to 200k messages possibly at a time?